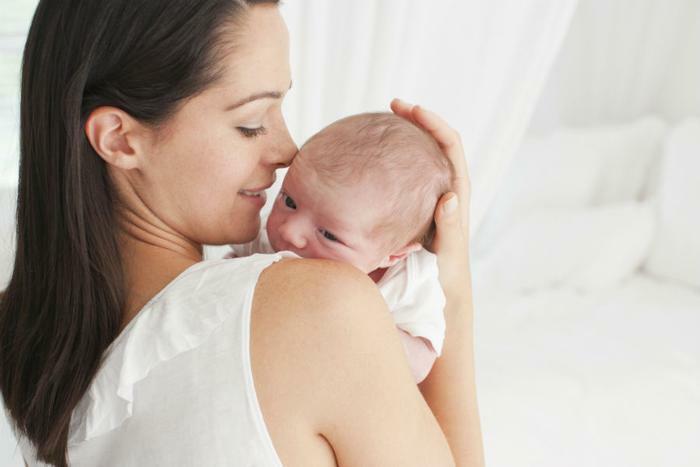 For new mothers, the first weeks after giving birth should be a time of bonding, physical recovery, and potentially navigating breastfeeding challenges. However, economic necessity will push nearly 1 in 4 new mothers back into the workforce within just two weeks of having a baby. New parents who aren’t lucky enough to get 12 weeks of paid parental leave -- and who can’t afford to take time off -- are faced with the difficult decision of choosing between their careers and time with their infant. Now, a new maternity leave registry site called Take12 aims to give new parents the financial means to stay home with their baby for a full 12 weeks. Instead of registering for baby gifts and gear, expectant parents can ask visitors to go to their personalized site to donate money to cover various moments of a maternity leave. Friends and family can “purchase” baby snuggles, shower time, a night of sleep, and more. The site has a guide to help soon-to-be parents figure out roughly how much money they would need to take 12 weeks of maternity leave. It encourages working moms to take a full 12 weeks, especially if they qualify for the Family and Medical Leave Act. In addition to its goal of affording moms the ability to stay home with their baby, Take12 aims to elevate the importance of sufficient family leave. Research shows mothers who return to work soon after giving birth are less likely to breastfeed and more likely to suffer from depression. Each additional week of paid maternity leave has also been linked to lower infant mortality rates. While many employers are required to provide 12 weeks of unpaid leave following the birth of a child, many new parents can’t afford to go that long without a paycheck. A mere 13 percent of U.S. private sector workers have access to paid leave through their employer, according to a 2016 report from the Department of Labor. “I understand the crisis of unpaid maternity leave because I have experienced it three times,” writes Margi Scott, the founder of Take12. The Take 12 website plans to expand to allow fathers to register for paternity leave in the future.